School is starting already? Seriously?! Remember the days when summer was three months long and you didn’t even think about going back to school until the first week of September!? How the times have changed! Sorry kids, you are so missing out on the good old days of summer. I’m grateful my littles have a few more years before they spread their wings and fly off to school, but the kids of Atlanta will be starting back bright and early on Monday morning. Our church collected/donated more than 500 backpacks filled with school supplies for the neighborhood school. 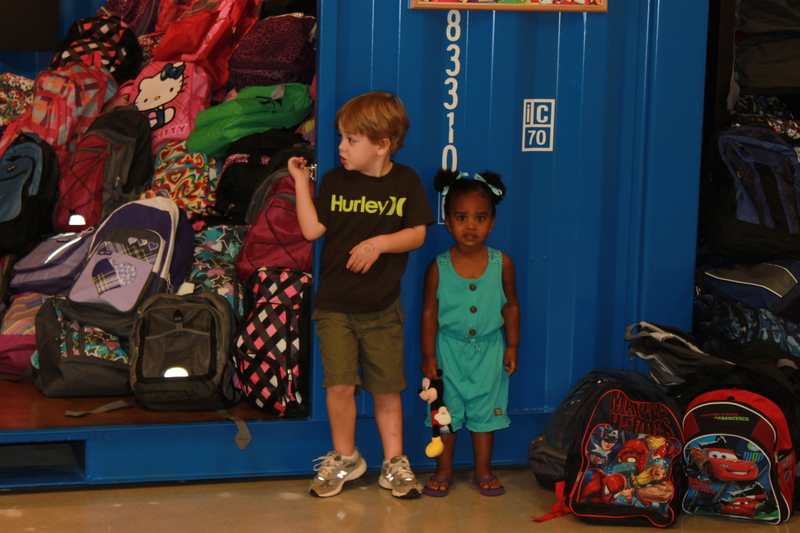 Today, families from the neighborhood were invited to stop by the church and pick a backpack. It was such a fun and tangible way to serve the community! We loved getting to meet our beautiful neighbors! Nash and Evyn enjoyed hanging out at church all morning, meeting the people, and helping “organize” the backpacks. And I LOVED having my kids be a part of helping and serving. I so want it to be weaved into who they are…that GIVING, LOVING, + SERVING is part of life. It is a joy. It’s an honor. It’s fun. It’s who they are because of who Christ is. 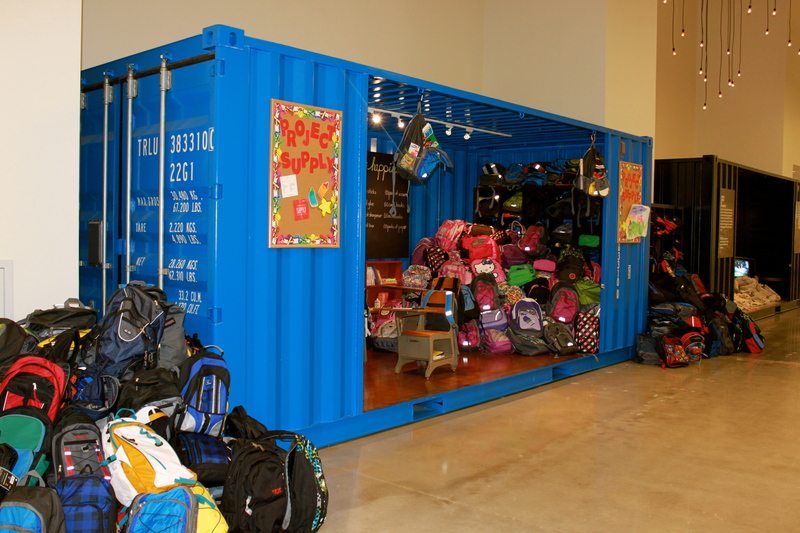 "The Container" where all the backpacks were piled to pass out to kids! Nash was too excited to stand still for a pic!! He was dancing like that all morning! Catching-up on folks’ blogs this morning. Love, love, love continuing to watch what God does in the Vogeltanz fam. And glad Bryson is home safely from Haiti. Micah and I were in Carfour in March and fell hard for those people…such dear souls. A hug to your clan this morning.